Home Tags Posts tagged with "hb 59"
RCPA, along with three other statewide associations, have joined together by drafting a letter to State Senators urging them to oppose House Bill 59 (HB 59). 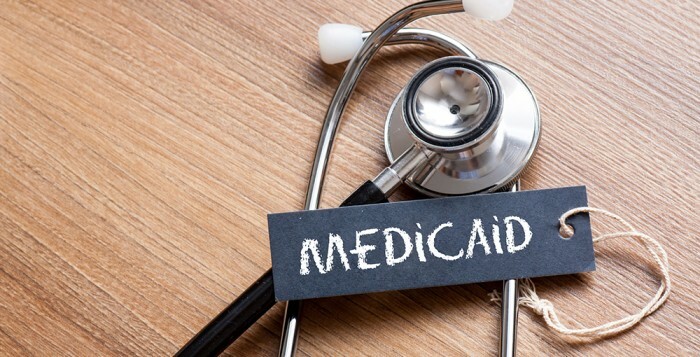 HB 59 negatively impacts Medicaid eligibility and benefits for consumers, specifically limiting the ability of health and human service providers to offer services to the Commonwealth’s most vulnerable population. Consumers and health and human service providers are concerned that HB 59 is on a fast track to passage. The bill’s language to limit eligibility and access to Medicaid benefits was inserted during budget negotiations without public debate or hearings. After the bill was amended and voted out of committee, it was sent directly to the House in its entirety for an up or down vote. Ultimately, HB 59 passed the House largely along party lines without any votes from Democrats, and fifteen (15) Republicans voted against it. From a good governance perspective this is simply astounding. On process alone, HB 59 should be rejected; therefore, we urge RCPA members to contact their State Senators and ask them to oppose HB 59. HARRISBURG (July 11) – A passionate debate of a Human Services code bill on Tuesday saw a bipartisan effort to oppose Republican-crafted provisions that would potentially impose work requirements on certain medical assistance recipients and charge some families with disabled children Medicaid premiums. “I rise in opposition to House Bill 59, which will throw a wrench into the operations of public healthcare in this state and fundamentally threaten care for hundreds of thousands of people across the Commonwealth,” said Rep. Dan Frankel, D-Allegheny. But despite concerns from both sides of the aisle, the House of Representatives narrowly approved the bill with a vote of 102-91. No Democrats supported the legislation. It will now move to the Senate for concurrence. House Majority Leader Dave Reed, R-Indiana, said the provisions put into the bill on Monday evening were “98-percent agreed” to by the Senate. However, it’s unclear if the bill, if approved by the Senate in the coming days (or weeks,) would be signed into law by Democratic Gov. Tom Wolf, who has concerns about the Medicaid changes included in the code bill. The chamber also debated public school and administrative code bills, but delayed a vote on them until the Senate acts on other code bills, including a Fiscal Code bill, said Reed. It’s unclear if a Tax Code bill will be in the mix. The House recessed Tuesday evening and plan to return in a week, said Steve Miskin, spokesman for Reed. Opponents of the bill mostly focused on the provisions that would potentially establish a premium on disabled children and their families who receive Medical Assistance and have an annual income that exceeds 1000 percent of the federal poverty level. “I don’t think many of us truly realize just how damaging this legislation can be to families who find themselves in huge financial jeopardy to no fault of their own,” said Rep. Schlossberg, D-Lehigh, who said the changes would raise premiums for 61,000 families in the state. “The vast majority of families who would be affected by this bill face real and significant financial pain. In many cases, their budgets are already stretched well beyond the breaking point,” he continued. Based on the federal poverty level, only families with an annual income of more than $246,000 would be required to pay the premium, which the bill’s sponsor, Rep. Dan Moul, said would total $50 monthly. Moul said Pennsylvania is the only state in the country that doesn’t factor in a family’s income when determining eligibility for Medicaid. He and others said the expected premium cost is reasonable for those families and will preserve human services funding for those making less. Opponents also took issue with a provision that could potentially establish employment requirements for certain Medicaid recipients. “We have to be very, very careful with this population. They’re our most vulnerable,” said Rep. Gene DiGirolamo, R-Bucks, of recipients who are mostly disabled children, severely disabled adults, chronically ill persons and those in nursing homes. “I don’t see what people in that population are able to work. We’re going to put another level of bureaucracy and paperwork on top of what they’re already going through,” he added. Numerous disability rights and community provider groups oppose the proposed requirements, he said. Supporters say the provision would only impact able-bodied Medicaid recipients. The Human Service code bill doesn’t inherently establish the Medicaid premium or work requirement provisions, it would simply instruct the state’s Department of Human Services to seek waivers from the federal government to do so. Ultimately, GOP lawmakers said the changes made in the code bill are needed as human services costs continue to rise and state revenues remain stagnant. He reiterated similar statements Tuesday following the chamber’s floor vote. Wolf hasn’t indicated whether he would sign or veto the legislation, however, J.J. Abbott, his press secretary, offered a scathing statement from the governor in an email Tuesday. 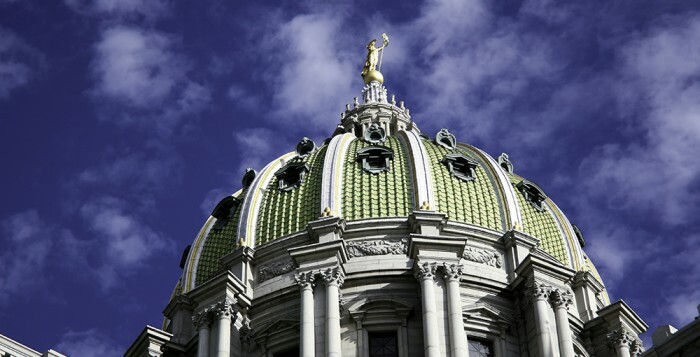 “Governor Wolf strongly opposes these backdoor changes that could have widespread and potentially life-changing effects on the health and well-being of millions of Pennsylvanians. Seniors, people with disabilities and low-income working families don’t need their lives to be made even more difficult by politicians in Harrisburg,” wrote Abbott. “Beyond the substance of these changes, the process flies in the face of good government and these changes would cost millions of taxpayer dollars just to implement. There was no input from stakeholders or families that would be affected and no formal fiscal analysis,” he added. “Medicaid is not a handout – it is a lifeline. We need to support these families, not create more hoops for them to jump through,” he concluded.